And so, here we are: as a season of heightened non-competitiveness gently meanders towards its end and the grand four-week finale in Russia, the League Cup final offers a first chance of silverware in the new year. This particular final doesn't have the thunder dome element of grand showpiece events, but still offers enough intrigue for a fascinating 90 minutes of football. In fact, for Manchester City, it may well be a seminal moment. Flashback to the arrival of the brazen Pep Guardiola on the English mainland, an isolated island of tactical stagnation, the last bastion that was still not enamoured of Guardiola’s wild vision of fantasy football, a science-fiction version of the outlandish and elaborate ‘Cruyffian’ game. The pomp and circumstance, the hysteria and melodrama overshadowed his coming, but he was the last pawn in Abu Dhabi’s vision for dominance in the club game. 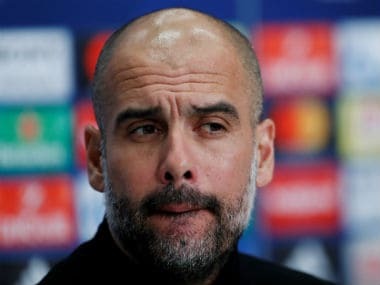 On the Old Continent, Guardiola’s credentials were not questioned. He revolutionised the Spanish game with ‘Tiki-Taka’ and delivered a same mesmerising version of the beautiful game, based on pressing, positioning and possession, in Bavaria. He had conquered Europe in grandiose style. Could he do the same in the Premier League, the self-acclaimed best competition in the world? In many ways, he faced a ‘Zlatanic’ problem. In Britain, the Swedish striker was still regarded with disdain before he signed for Manchester United: the attacker had conquered the Old Continent with glorious goals, audacious tricks and much braggadocio, but always in ‘inferior’ leagues, always blacking out at key moments, so could the Swede surmount the world’s best league? He could. Zlatan Ibrahimovic came to Manchester, saw and indeed conquered. 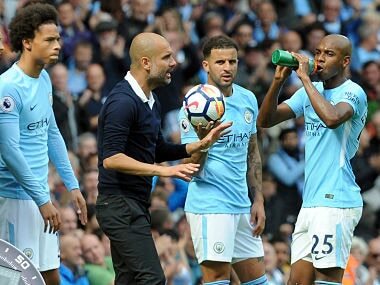 Guardiola met that same English insularity: he’d only be a righteous coach when winning the English top-flight — the Premier League as a benchmark for his reigns at both FC Barcelona and Bayern Munich. 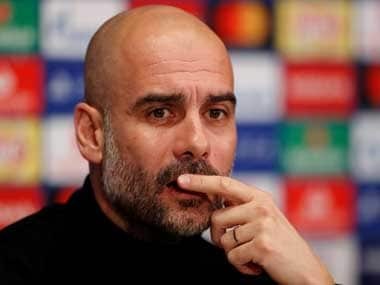 In his first season, Guardiola didn’t win a single title. It all began with a brilliant flurry, an enkindling teaser of what football could and can be, a nascent ‘Tiki-Taka' discernible at intermittent moments of fine triangulations at the Etihad Campus. There was much promise in City’s games, with an early winning streak in the Premier League. But then the ‘Guardiolan' blueprint sputtered. Footballing greatness never materialised, not even, as Sir Humphrey Appleby would have it, in the fullness of time — that is, at the end of the season. Guardiola and City ‘scrapped’ to a third place with 78 points. Whispers were abound: Guardiola was a con artist. ‘Fraudiola’ was no match for the Premier League, the beatific galaxy of great football. But Guardiola’s nonsensical failure was misinterpreted. Here was a team in transition with a coach seeking improvement. At times, City did proffer wonderful football, in the ‘Guardiolian’ mode of play. His team simply oscillated between their contemporary flaws and glimpses of a much improved future. This season the future arrived. What’s more, that future is of a meticulous Guardiola design. He has mastered the Premier League — on his terms: with technical possession football. The Spaniard never altered his blissful vision of the beautiful game. Indeed, he refused to and didn’t take a step back, not even after 10 grating months. The Tony-Pulis-way simply wasn’t Guardiola’s way. Ultimately, the Guardiola way has toppled England. Weeks, if not months, ago Manchester City won the Premier League. His adagio of pressing, positioning and possession succeeded. City have a ‘playerish’ element in their game. They play with a box-to-box midfielder and two number 10s, a highly audacious line-up that has allowed them to spread the play from midfield. So much so for the league’s physicality as well. 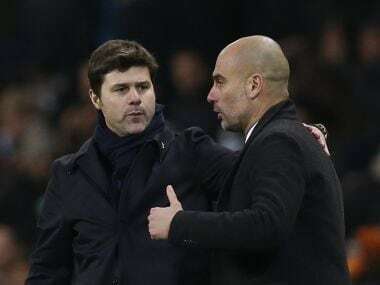 Guardiola has been emboldened and victory in the League Cup final will profoundly corroborate the rightfulness of his high standing in the coaching cosmos. This is no longer about bedding in, no longer about fine-tuning the team and its tactics, this is simply about winning. The dream of the quadruple vanished with that shock defeat at Wigan Athletic, but the serial winner and perfectionist in Guardiola will want to push on. The spangled coach is City’s ticket to glory, with his iterations and astro-knowledge a foundation thereto. On Sunday, he will find Arsene Wenger and Arsenal on his way. In the build-up to the final, his French counterpart stated that football is ultimately a players’ game. He may be right, but as Arsenal struggle on in an everlasting crisis, Guardiola is proving at City that the sport is also very much a coaches’ game.